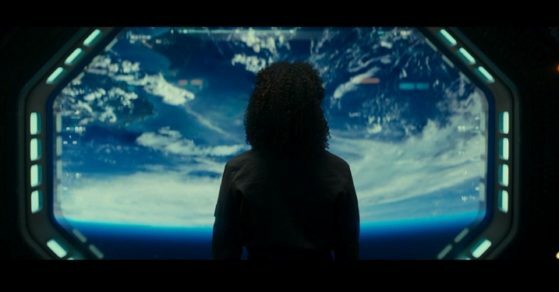 The Cloverfield Paradox (aKa God Particle & Cloverfield 3) is a 2018 science fiction film directed by Julius Onah (The Girl Is in Trouble & Luce). It was written by Oren Uziel (Mortal Kombat: Legacy, 22 Jump Street, Freaks of Nature, & Shimmer Lake). It was produced by J.J. Abrams (Cloverfield franchise, Mission Impossible franchise, Star Trek franchise, Star Wars franchise, Overlord, Castle Rock, & Westworld) for Bad Robot Productions.It’s the 3rd installment in the Cloverfield series. It was made by Paramount Pictures & picked up by Netflix. It had a surprise trailer & release directly after Super Bowl LII. In 2028, Earth is suffering from a global energy crisis. The space agencies of the world prepare to test the Shepard particle accelerator aboard the orbiting Cloverfield Station. They are sent on a mission to try to fix the situation & save the world. 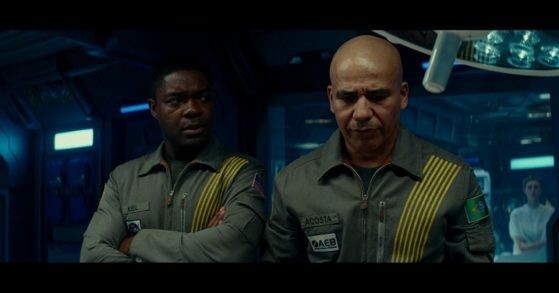 The crew includes a British engineer Ava Hamilton (played by: Gugu Mbatha-Raw from Concussion, Beauty and the Beast, Free State of Jones, & Odd Thomas), American commander Kiel (played by: David Oyelowo from Selma, Star Wars Rebels, Jack Reacher, & Lincoln), German physicist Ernst Schmidt (played by: Daniel Brühl from Captain America: Civil War, Inglourious Basterds, The Alienist, & Rush), Brazilian medical doctor Monk Acosta (played by: John Ortiz from Miami Vice, Kong: Skull Island, Silver Linings Playbook, & American Gangster), Irish engineer Mundy (played by: Chris O’Dowd from Get Shorty, Miss Peregrine’s Home for Peculiar Children, Thor: The Dark World, & This is 40), Russian engineer Volkov (played by: Aksel Hennie from The Martian, Hercules, Last Knights, & Headhunters), & Chinese engineer Tam (played by: Ziyi Zhang from Godzilla: King of the Monsters, Rush Hour 2, Memoirs of a Geisha, & Crouching Tiger, Hidden Dragon). After about two years of unsuccessful attempts to activate Shepard, they finally get a reaction but it overloads & creates a power surge on the station. They find & rescue Mina Jensen (played by: Elizabeth Debicki from Guardians of the Galaxy Vol. 2, Widows, Everest, & The Great Gatsby), a stranger to everyone that had no reason to be there. Strange events start happening around them & crew members end up in dangerous scenarios. They are trapped in unknown territory but all this work & time can’t be wasted. They fight for survival against the unknown. They are determined to fix the problem & finish their mission but they have to watch out for their surroundings because no one can really be trusted now!!!! I love how every Cloverfield film is completely different from each other, Paradox definitely stands out on it’s own. I enjoyed the claustrophobic, isolated, & paranoid vibe it had. It helped build up all the suspense & thrills for it. 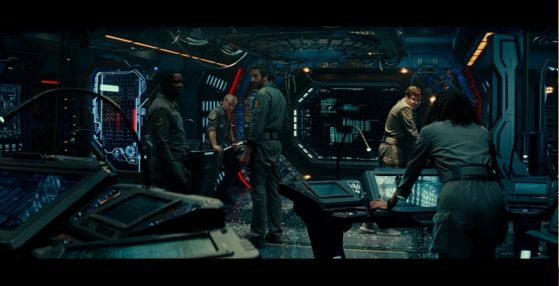 It reminded me of Alien, you can tell it was influenced by it. The limited locations added to everything. The best thing about the production was the excellent casting & the small group of actors in this. All of the characters had their own unique personality. None of them would be considered big names or stars but most of them can easily be recognized from several major movies over the years. There’s not a single weak link here & I hate to say it but that’s a rarity in cinema today. The script & set design were very impressive. It had some twists that kept you guessing, it was entertaining & it delivered everything that you would expect from a science fiction flick. I love when they have a darker tone to them & the last half of Paradox launches into full gear there. I am looking forward to what they do next with this franchise, RECOMMENDED!!!! Let’s talk about the high definition presentation & special features from Paramount! This 1080p (2.40:1) transfer looks great, I could be wrong but I think this is the first Netflix film to get a real release. I hope they start doing more blu rays or 4Ks of their other original material in the future. The cinematography & visual style really stands out on Cloverfield. It’s loaded with a variety of audio which includes English: Dolby Atmos, English: Dolby TrueHD 7.1, German: Dolby Digital 5.1, Spanish: Dolby Digital 5.1, Spanish: Dolby Digital 5.1, French: Dolby Digital 5.1, Italian: Dolby Digital 5.1, Japanese: Dolby Digital 5.1, Polish: Dolby Digital 5.1, & Portuguese: Dolby Digital 5.1 on this disc. The audio sounds top notch on this release. The dialogue is crystal clear, the suspense is elevated, & the music has a killer boost to it. It also has English, English SDH, French, German, Italian, Japanese, Portuguese, Spanish, Arabic, Danish, Dutch, Finnish, Norwegian, Polish, Swedish, & Thai subtitles. When comes to highest quality for audio & subtitles. 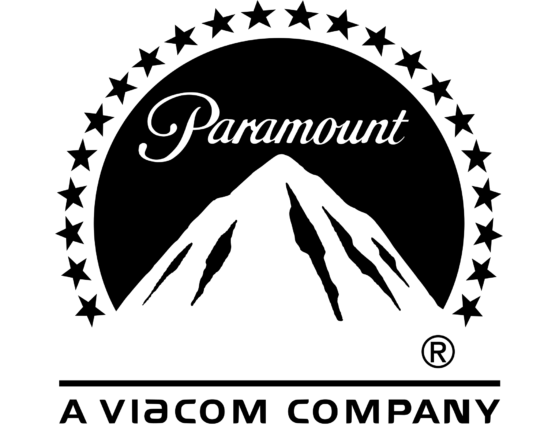 Paramount is always on top of their game & they are the best at it. 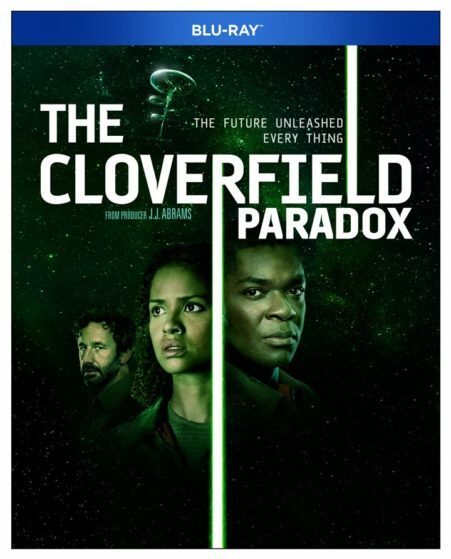 “Things Are Not As They Appear: The Making of The Cloverfield Paradox” is a little over 14 minutes. It has interviews with director Julius Onah, writer Oren Uziel, actors Gugu Mbatha-Raw, Daniel Brühl, John Ortiz, Aksel Hennie, Elizabeth Debicki, & various members of the production. It shows the script read with the cast. They chat about the developmental & concept of the film. They talk about their experience on it. They go into detail about the production design & look of it. It has behind the scenes footage. “Shepard Team: The Cast” is almost 15 minutes. It has interviews with director Julius Onah, writer Oren Uziel, actors Gugu Mbatha-Raw, Daniel Brühl, John Ortiz, Aksel Hennie, Elizabeth Debicki, David Oyelowo, & Ziyi Zhang. They chat about the characters & the actors who played them. They bring up the differences between all of them. They talk about most of them learning a new language for the feature. It goes over the casting & what made them want to do this franchise. It’s also available in the Cloverfield 3 film collection. It includes a slipcover & it’s available everywhere right now (including Netflix), CHECK IT OUT!!! !